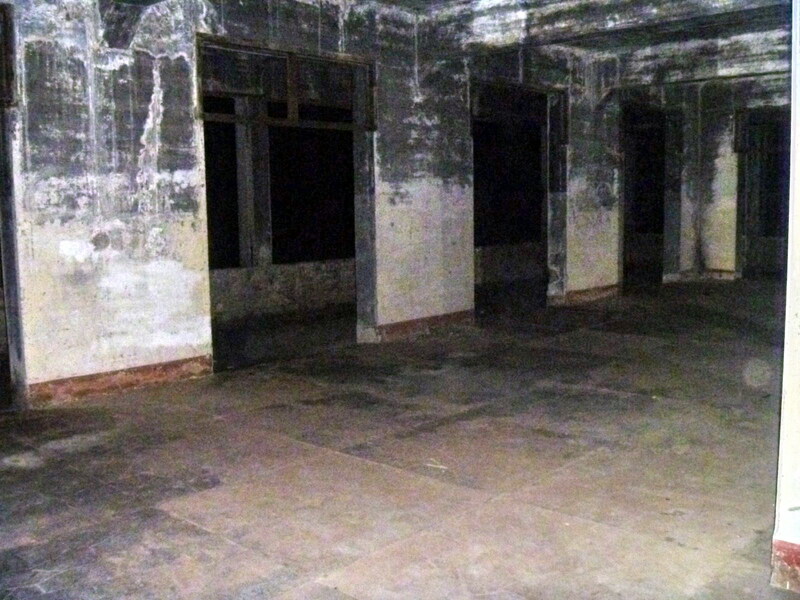 After my tour of Battery Grubb, I, together with Mark, joined a group on a ghost-hunting tour at the Hospital Ruins. Sounds of footsteps and rumblings of normal hospital activities have been heard by many in the past but we didn’t experience any of these. At one time, our tour guide requested all of us to turn off our flashlights so as to have a feel of the eerie darkness of night. 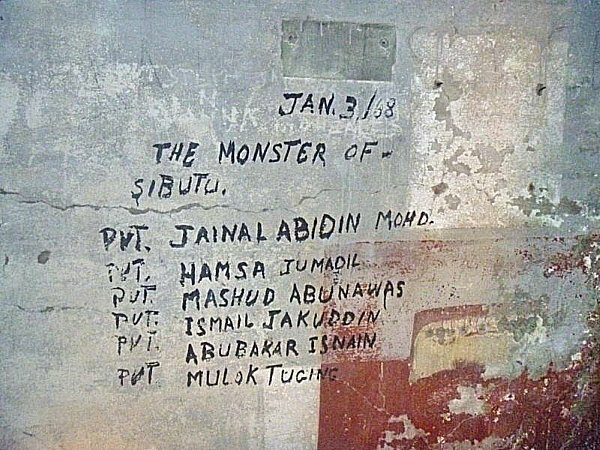 The hospital walls also had lots of graffiti left by a ragtag group of Muslim soldiers who, in 1968, trained in Corregidor for a planned invasion of Sabah in Malaysia. The soldiers were put up in the hospital ruins. 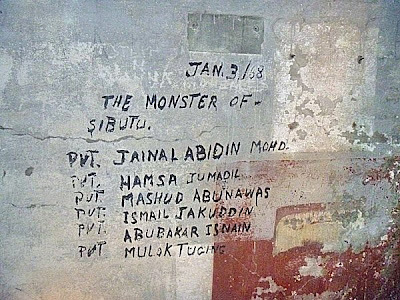 When the soldiers found out what they were there for, they refused to do their duty, as many of them had relatives in Sabah, and the rest were understandably reluctant to slaughter fellow Muslims. A decision was made, from top brass, to exterminate them. Under the pretense of taking them home, groups of 12 soldiers were led to Kindley air strip where they were machine-gunned. All were killed except one Jibin Arula, who jumped off a cliff into the sea and, several hours later, was picked up by fishermen. He later told the story of the infamous Jabidah Massacre. This spurred a rebellion in the Muslim south, one that lingers to this day. Their ghosts now join those of the Corregidor’s World War II dead. Back at the Corregidor Inn, Jovy invited us all to dinner at the La Playa Restaurant. Jovy, with Mat in tow, later joined Eric, Mark and I as we hiked, with our flashlights, the dimly-lit trails outside the hotel. No encounters with ghosts here. We made it up to the Power Station before we decided to turn back. Unsatisfied with this hike, Rico, all by his lonesome, bravely went on to explore ghostly Malinta Tunnel for some photo ops, using our flashlights for lighting. We didn’t wait up for him, leaving that to Lee, as Jovy, Mat, Mark and I returned to the inn and retired for the night. This entry was posted in Cavite, Historical Sites, Philippines, Republic of the by Benjie Layug. Bookmark the permalink.